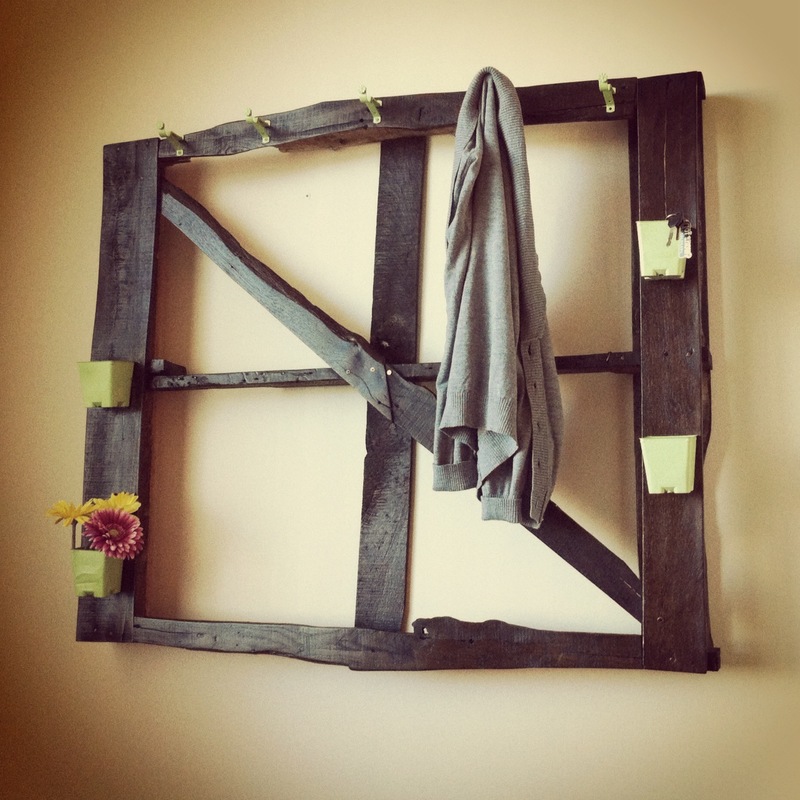 A Do-It-Yourself log cabin style coat rack – made from a pallet! Reusing old items is not always appealing, but re-purposing them can be very enjoyable and rewarding! I gathered some random materials around the office and home; a pallet, planters, random metals objects (hooks), and a few tools to create my very own cozy coat rack. 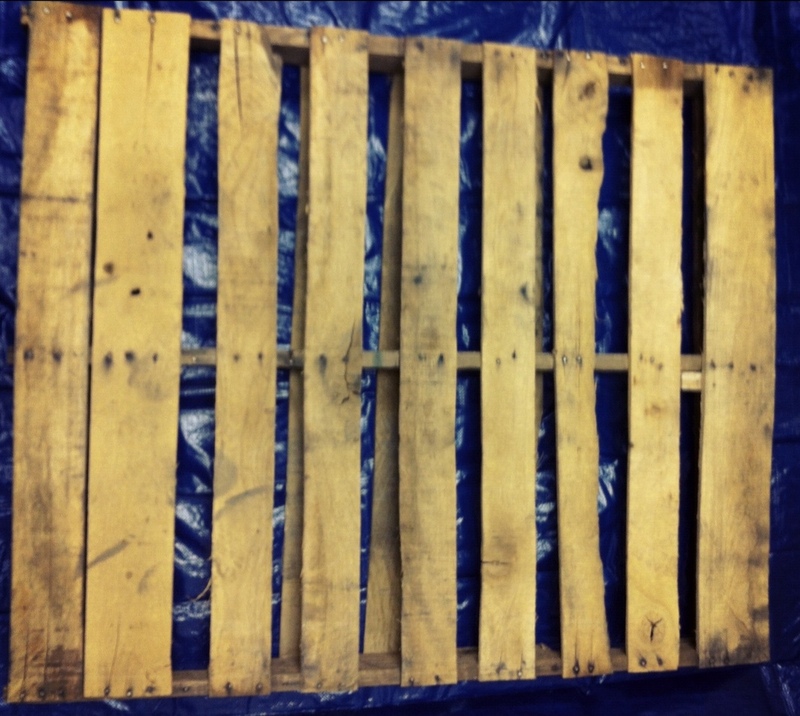 There is no doubt about it, pallets are not the easiest to work with but after some demolition work, I began sanding away. To create an even greater rustic look I used an old bike chain and hammer to dent the wood more. Then, I used a damp cloth to clean off the excess dirt and wiped it down with Scott’s Liquid Gold Wood Wash. 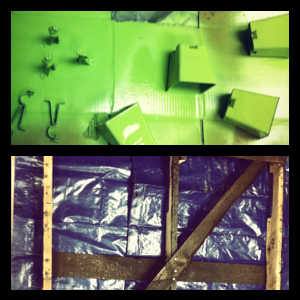 Soon, I had a great product to begin staining. While letting the stain set in, I painted the little random objects to use as hooks and baskets. I gathered some nuts and bolts to tighten the pallet and attached the other materials (wood glue and clamps would have worked as well). Once the rack was dry, it was quite dull so I used Scott’s Liquid Gold Wood Cleaner and Preservative to moisturize and shine my new coat rack and old pallet. If you want to start a project like this, make sure to look around your house you may be quite surprised at what you find! This fun project is a great way to spruce up your house while keeping those extra ‘things’ out of landfills. This entry was posted in America, DIY, Dust, Flowers, Household, Racks, Reuse & Repurpose, Rustic, Salvaged Wood, Scott's Liquid Gold, Storage, Vintage, Wood Wash and tagged Amber Lesser, American, around the house, coat rack, Colorado, DIY, Fun, furniture, furniture polish, home, Home Depot, Liquid Gold, log cabin, made in america, made in USA, natural oils, new life, painting, pallet, repurpose, repurposed pallet idea, reuse, salvaged wood, sanding, Scott's Liquid Gold, staining, Vintage, wood, wood care, wood treatment, wood wash. Bookmark the permalink.